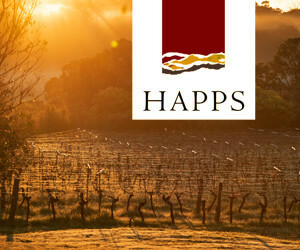 The Happs Cellar Door is situated high on the east facing slope of the Naturaliste Ridge overlooking Geographe Bay. The original mud brick house and pottery, with its beautiful and much photographed court yard garden, is at the centre of a complex of buildings including the cellar door and winery, all linked by sprawling lawns and gardens overlooking the vineyard. In the tasting room you will find forty wines of which a number are sweet. Amongst the wines you will discover a range of interesting and lesser known varietals, as well as the wines and styles for which Margaret River is so rightly famous. Our spritzig pink and white Fuchsia are great favourites and can be tasted alongside our Preservative Free wines, dry table wines and fortified wines, which are made from authentic specialist grape varietals. Our cellar door is a bustling and yet relaxed place to visit and there is a wine to suit all tastes and palates, so call in and enjoy a free tasting. Ideally suited to for the whole family, whilst someone has come for the wine, another to explore the pottery or the exquisite gardens and all the while the kids are entertained in the natural playground. Why not stay and enjoy a picnic in the beautiful grounds. You can also spend what you like and eat what you prefer at our Happs Hampers Deli. Adjacent to our cellar door is a small shopping area where you can grab a basket and purchase local cheeses, cold meats, olives, dips, crackers, relishes, pate, nuts, chocolate and more. You can enjoy your bounty at a table or on a picnic blanket on the grass. We've got plenty of areas on offer throughout our venue and spacious gardens. Wines are also available by the bottle or by the glass to enjoy with your meal. We are open from 10am to 5pm. Disabled access is from the lower cellar entrance. We close Christmas Day, Boxing Day and Anzac Day Morning. Leaving Dunsborough take Caves Road towards Busselton and turn right at Commonage Road. We are on the left hand side 5 km from the roundabout. 7 Days a week 10.00 am to 5.00 pm except Christmas day, Boxing day and Good Friday and from 12.00 on Anzac day.